Abuja, 13 March 2018. Tunisia intends to intensify its economic and trade cooperation with the Economic Community of West African States (ECOWAS) with special emphasis on trade and investment promotion. This was made known by the Tunisian Minister of Foreign Affairs, Mr Khemaies Jhinaoui following his courtesy visit to the President of the West African organisation, Mr Jean-Claude Kassi Brou in Abuja on 12 March 2018. Khemaies Jhinaoui, who was accompanied by Tunisia’s Ambassador to Nigeria and ECOWAS, is also the first personality to be received by Jean-Claude Kassi Brou since his assumption of duty on 1st March 2018. 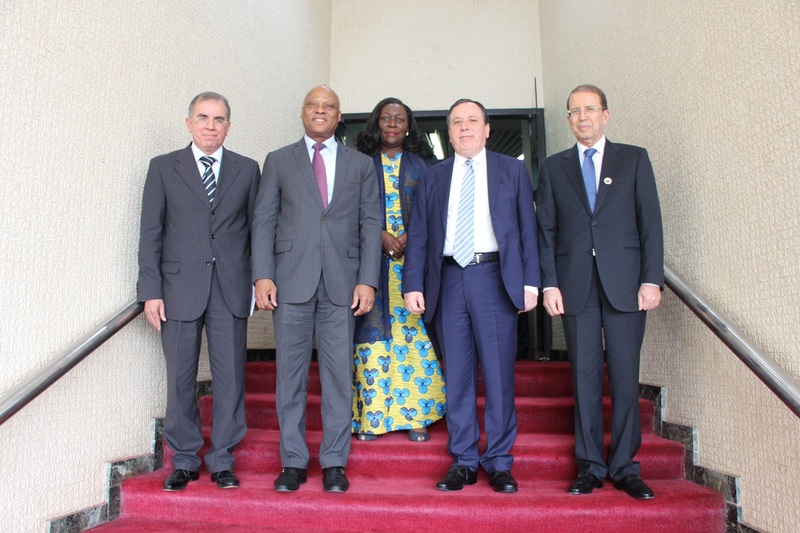 “Tunisia is open to a fruitful, win-win partnership with ECOWAS”, stated the head of Tunisian diplomacy. 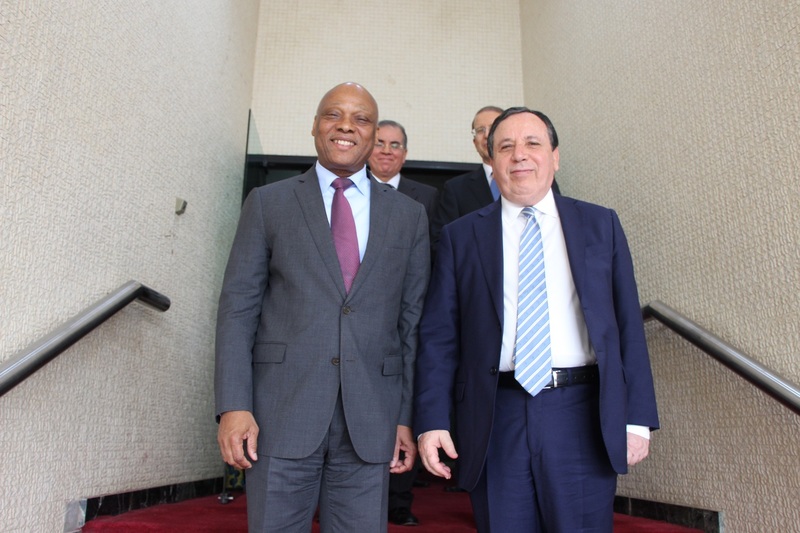 His meeting with Mr Brou is part of efforts to strengthen his country’s cooperation with ECOWAS and in particular, is a sequel to the visit of erstwhile President of the ECOWAS Commission, Marcel de Souza to Tunisia from 19 to 22 November 2017. 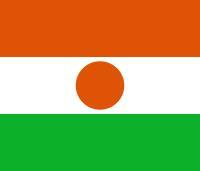 During his visit, a memorandum of understanding between Tunisia and ECOWAS was signed. The MOU focuses on the establishment of a cooperation framework and a dialogue platform between the two parties, the promotion of trade in economic, commercial agriculture, scientific, technical and educational domains and all areas of common interest as they determine. According to the Tunisian Foreign Affairs Minister, his country and ECOWAS must create the appropriate framework to promote trade, and identify the sectors and products that both parties may develop. Tunisia is expected to play a leading role in Africa’s development, because she sees the future of Africa in Africa and the Tunisia-ECOWAS cooperation as an equal south-south partnership. The head of Tunisia’s diplomacy invited the President of the ECOWAS Commission to visit Tunis in the near future, to formalise these relations. Having accepted the invitation, Jean-Claude Kassi Brou reaffirmed the need to strengthen Tunisia-ECOWAS cooperation and promote business opportunities. “We must support and encourage the establishment of an adequate cooperation framework between private operators from Tunisia and ECOWAS, as the private sector must create this win-win partnership”, stated Mr Brou. The meeting also had the Vice-President of the Commission, Mrs Finda Koroma and the President’s Chief of Staff, Kalilou Traore in attendance.